10 t ha-1, T8 – 100% RDF + Lignite Fly Ash @ 5 t ha-1, T9 – 100% RDF + Lignite Fly Ash @ 10 t ha-1. There were nine treatments combinations replicated thrice in CRD. The soil was sandy in texture with available nitrogen, phosphorus and potassium of 257, 10.2 and 117 kg ha-1 respectively which fell in fertility status of low. The soil classified taxonomically as Typic Udisamments. The results showed that application of 100% RDF + Vermicompost @ 5 t ha-1 (T5) significantly increased yield attributes viz., fruit length (16.6 cm), fruit girth (15.2 cm), no. of fruits plant-1 (20.67), fruit weight (45.2 g) and fruit yield plant-1 (934.2 g plant-1). This treatment registered maximum quality attributes like ascorbic acid content (4.5 mg 100 g-1), crude protein (4.81%), drymatter of fruit (70.2 g plant-1) and dry matter of plant (81.3 g plant-1). The post harvest soil available N (148mgkg-1) and P (7.15mgkg-1)status was higher due to application of 100% RDF with Vermicompst @ 5 t ha-1 (T5). The post harvest available K (75.58mgkg-1) status recorded higher in the treatment T9 which received 100% RDF with Lignite Fly Ash @ 10 t ha-1 (T9). Venkatakrishnan, D. “UTILIZATION OF CONVENTIONAL AND NON-CONVENTIONAL ORGANIC SOURCES AND INDUSTRIAL BY-PRODUCTS FOR YIELD MAXIMIZATION OF BRINJAL IN COASTAL SOIL”. 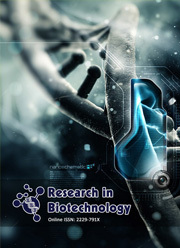 Horticultural Biotechnology Research, Vol. 4, &nbsp;, pp. 16-18, doi:https://doi.org/10.25081/hbr.2018.v4.3479.